Phantom Pumps centrifugal pump models are economical workhorses that create smooth and efficient operation at fluid processing facilities throughout the United States. 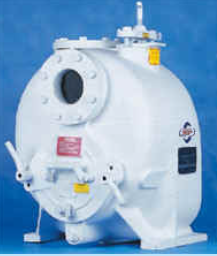 The Centrifugal Pump Line at Phantom Pumps includes DPUMP brand ANSI pumps, high pressure pumps, low pressure pumps and slurry pumps that are all manufactured to meet and exceed the highest industry standards. We design our pumps and parts as interchangeable and compatible replacements for sump pumps, trash pumps, slurry pumps, irrigation pumps and other centrifugal pump equipment produced by Gorman-Rupp, Durco, Warman and other well-known pump manufacturers. Processing organizations with existing All Prime and ESCO sump pumps often reduce their operating costs by replacing worn out and/or broken pumps with one of the compatible centrifugal pumps in the Phantom Pumps Low Pressure Pump Line. The LP Pump Line features seven PL-Series and six XT-Series centrifugal pump models with solids handling from 1-3/4” to 3”, RPM ranges from 650 to 2,900 and impeller diameters of 6-1/4” to 14-3/4”. Phantom Pumps Slurry Pump Line features pump models that are compatible and interchangeable with Warman AH Series pumps. Our slurry pumps feature patented, innovative designs that demonstrate up to 7% efficiency gains and up to 700% longer wear life on components over other name brand pumps in severe duty field trials. Phantom Pumps pump experts are always available to cross-reference pumps in our lines to existing sump pumps and other equipment in use at your processing facilities in Maine, New Hampshire, Ohio, Tennessee, Texas and elsewhere throughout the US. Contact us today for assistance or to request centrifugal pump quotes. We look forward to working with you soon!